The US Secret Service is investigating a poll posted on social networking site Facebook, asking people if they thought President Obama "should be killed". The poll, posted on Saturday, was taken off the site as soon as the company was made aware of it. It was put up on the site using a third-party application that was unconnected with the social networking site itself. US officials said they would take "the appropriate investigative steps". The poll, described by Facebook as "offensive", asked respondents "Should Obama be killed?" and offered four possible responses: "No", "Maybe", "Yes", and "Yes if he cuts my health care". Like any threat to the US president's life, the poll is being studied by the US Secret Service, which is charged with protecting the president. "We take... these things seriously," said Darrin Blackford, a Secret Service spokesman. 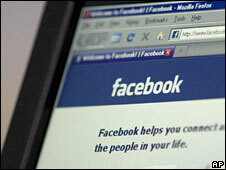 The social networking site said it would co-operate with the investigation. "We're working with the US Secret Service, but they'll need to provide any details of their investigation," said Barry Schnitt, Facebook's spokesman for policy.